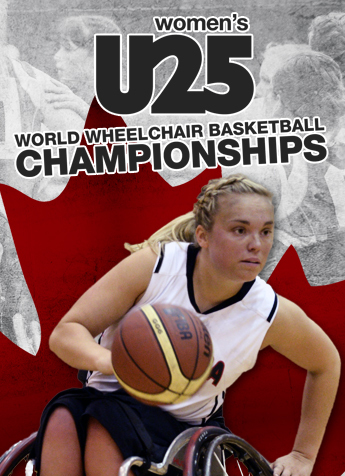 (BEIJING, CHINA) The Canadian Women’s U25 National Wheelchair Basketball Team opened the 2015 Women’s U25 World Championship with a 50-30 loss against Great Britain on Tuesday in Beijing, China. Arinn Young, of Legal, Alta., led all Canadian players with 11 points while making her junior women’s world championship debut. Teammate Erica Gavel, of Prince Albert, Sask., dropped five points and a team-high eight rebounds. Canada got off to a slow start and trailed 14-7 after the opening frame. Great Britain applied relentless pressure to carry a 29-11 lead into halftime, before widening the gap to 44-15 after three quarters of play. The Canadians found some rhythm in the final period, outscoring the Brits 15-6 to close out the game but the deficit was too much to overcome. 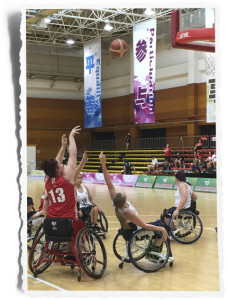 Great Britain capitalized on its scoring opportunities, shooting 40 per cent from two-point range, while Canada converted on 28.5 per cent of its field goals during the game. The Canadians hope to celebrate Canada Day with a tally in the win column when they face host China in their next match at 3:45 a.m. ET on Wednesday.